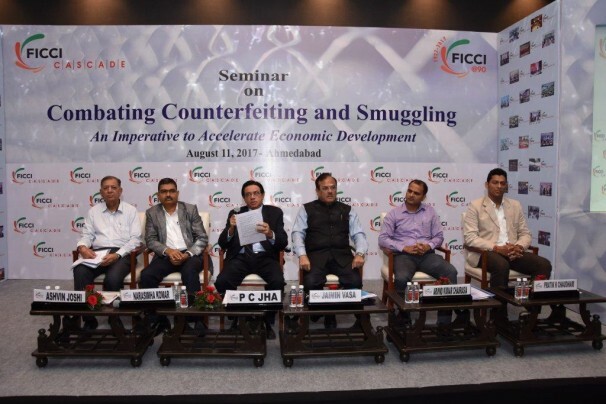 Over some time now, trade in counterfeit, smuggled and pirated goods has developed into a substantial threat to the Indian economy and pose serious safety and security hazards to the society at large. 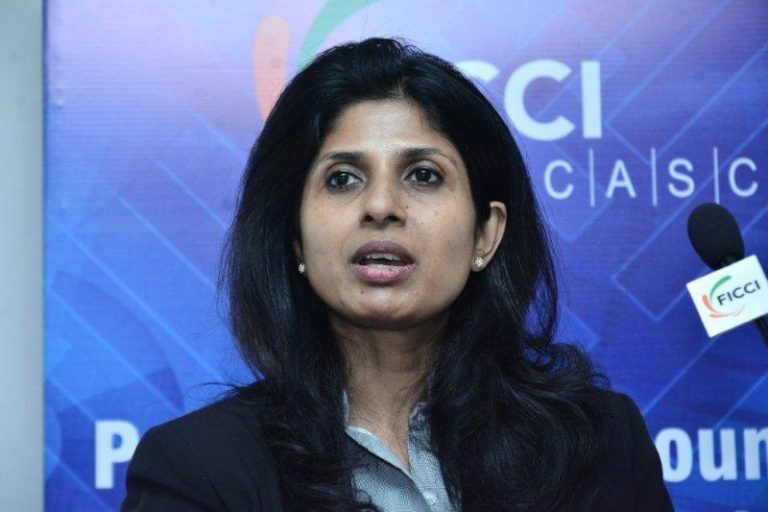 Different government agencies are involved at various stages in tackling such crimes, right from detection, investigation, prosecution to prevention of such offences, often including the recovery of the proceeds of crime. The Police department is the primary law enforcement agency in our country. With low barriers to market entry and infiltration, the Police plays a very significant role in ensuring the protection of right owners. 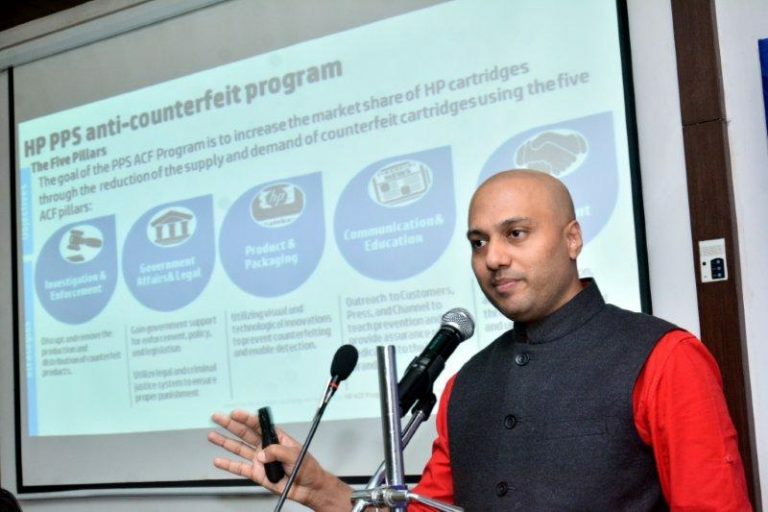 Although there are adequate laws available, their enforcement makes the role of police officers even more important in the fight against counterfeiters and smugglers. 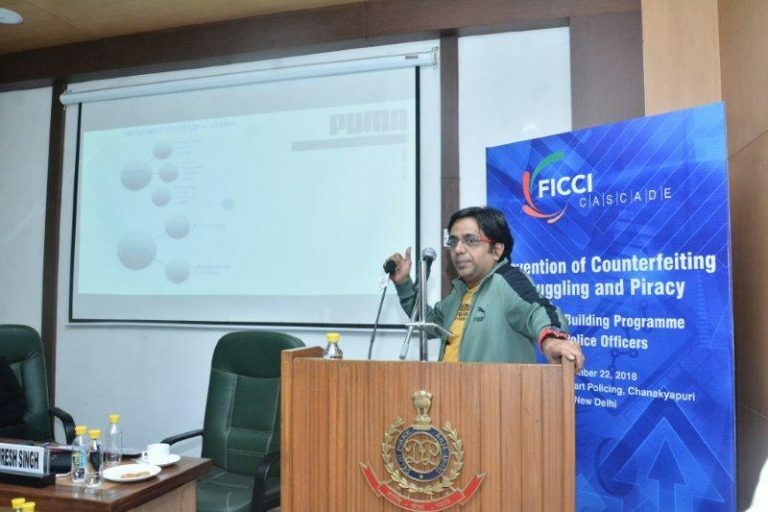 FICCI’s Committee Against Smuggling and Counterfeiting Activities Destroying the Economy [CASCADE] in its endeavor to combat crimes related to smuggling and counterfeiting has over the years been sensitizing the country’s enforcement agencies on this issue, equipping them to understand and take requisite action against the various economic offenders. 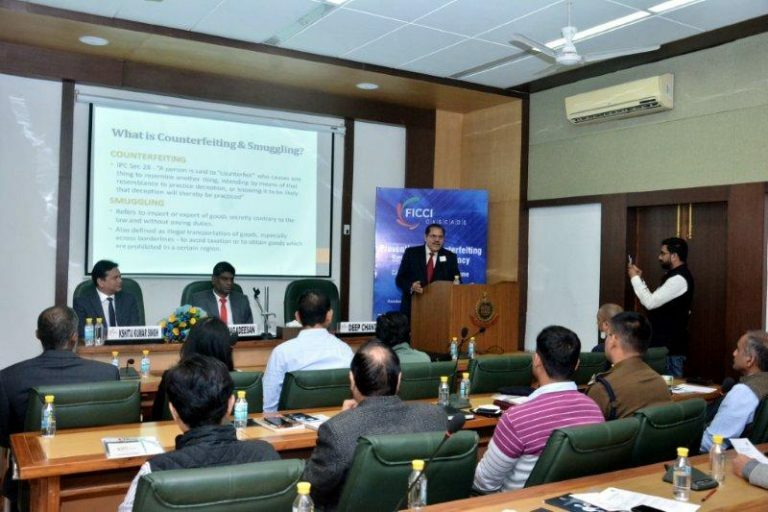 In this backdrop, FICCI CASCADE organized a training programme in association with Delhi Police on Prevention of Counterfeiting, Smuggling and Piracy for the Delhi Police officers on November 22, 2018 at the Academy of Smart Policing, Chanakyapuri, New Delhi. 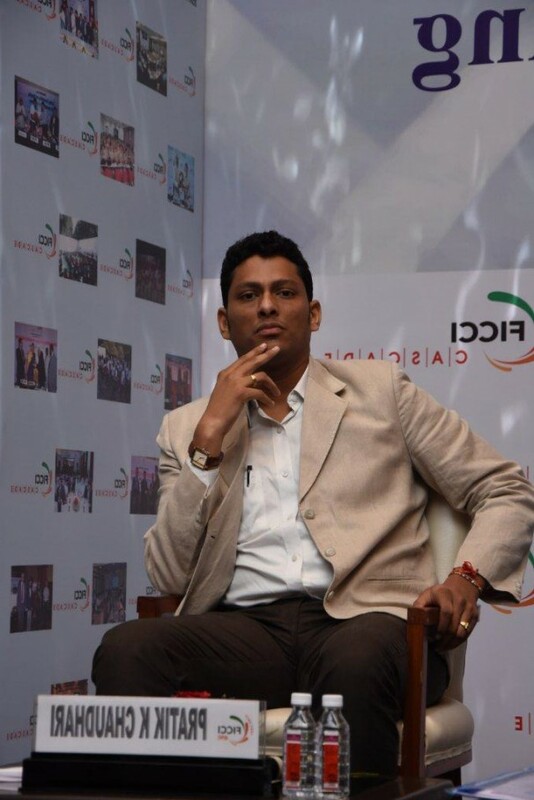 A key objective of the program was to sensitize the participating officials on the seriousness of the socio-economic impact of counterfeited and smuggled goods, in terms of the huge revenue losses to the government and industry as well as the significant health and safety consequences faced by consumers. 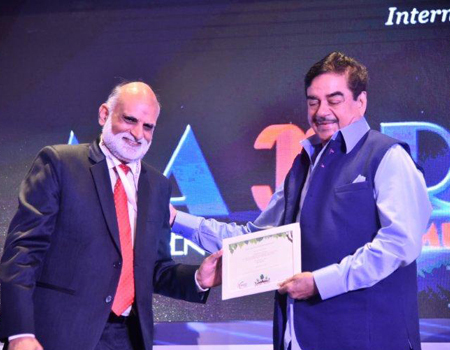 The program was inaugurated by Mr. K Jagadeesan, Jt. 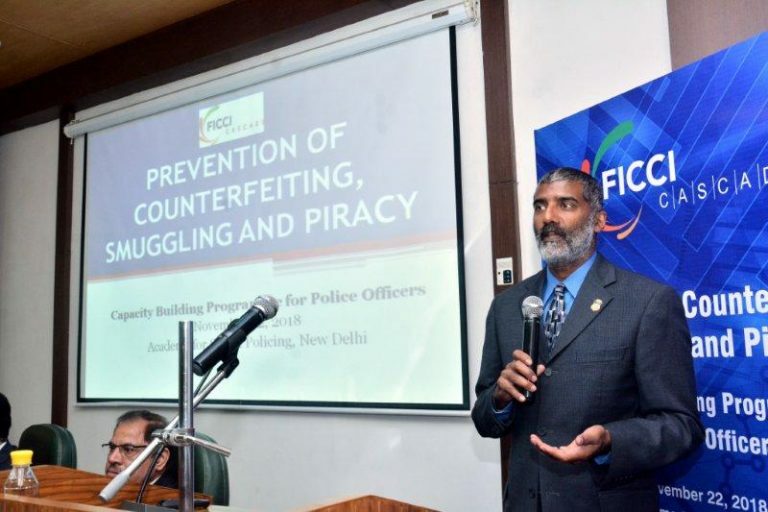 Commissioner of Police-Training, Delhi Police, who observed that India as a rising economic superpower needed to take offences relating to counterfeiting and smuggling very seriously and that police had a significant role in fighting this menace. He further reiterated that although such offenses were looked at as a victimless crime, it had many far-reaching consequences which was why is was extremely important for a police officer to understand the consequences before taking actions on ground. 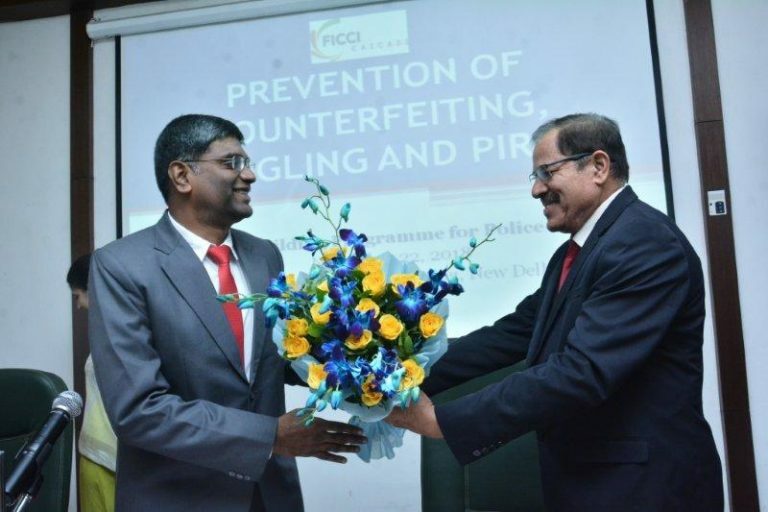 “Only then will an officer investigating a case related to smuggling and counterfeiting be able to understand and take suitable actions”, Mr. Jagadeesan emphasized. Mr. 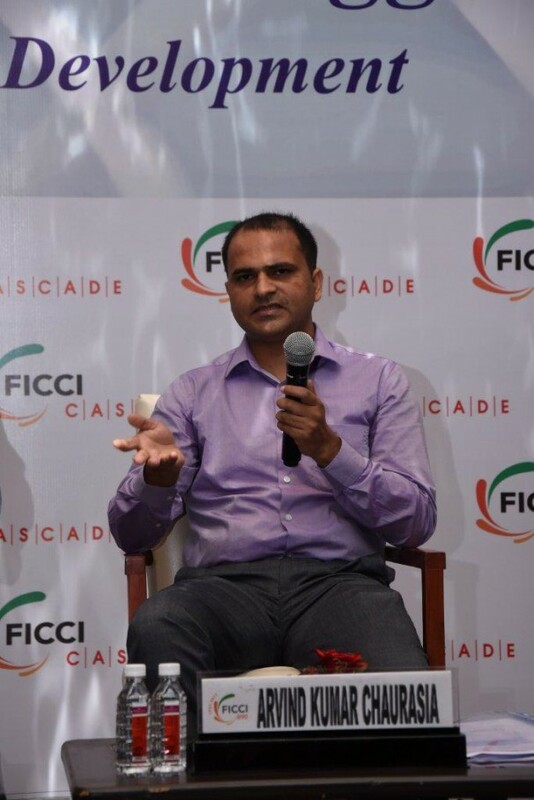 Deep Chand, Advisor, FICCI CASCADE, in his address informed about FICCI CASCADE’s mandate of capacity building of law enforcement agencies including Judges, Police and Customs Officers, and how CASCADE had been working extensively and intensively in this area across the country, organizing training programmes and seminars along with continuous Interactions with the law enforcement authorities to emphasize the importance of increased awareness on the gravity of the problem. 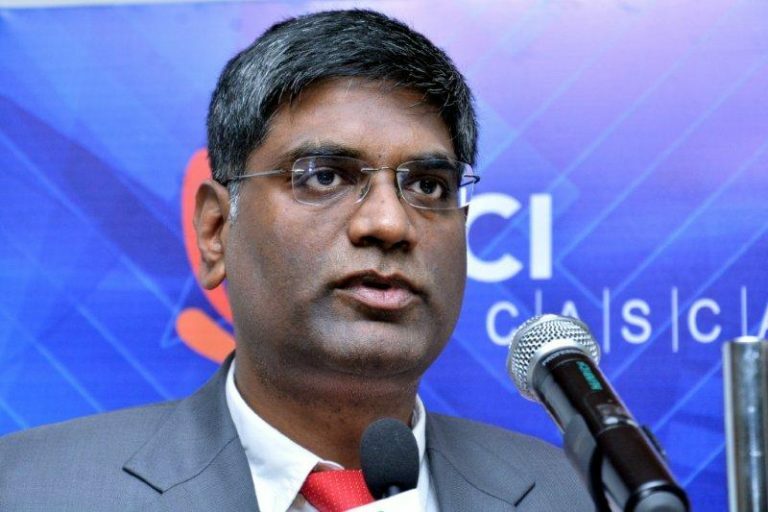 Mr. Chand correlated smuggling and counterfeiting activity with the security challenge in different environments around the world. He cited various instances where illicit trade in goods was being increasingly used to fund anti-social and terrorist activities. He also felt that the need of the hour was tangible actions to increase enforcement, accompanied by enhanced punishments for effective deterrance. This is imperative to reassure legitimate business owners and consumers that the government is serious about protecting right owners, and this will, in turn, encourage greater support for government policies. The training programme was attended by senior police officers of the rank Asst. Commissioner of Police and above, and provided a useful platform for the exchange of ideas and experiences in the enforcement of laws and practices while dealing with the perpetrators. 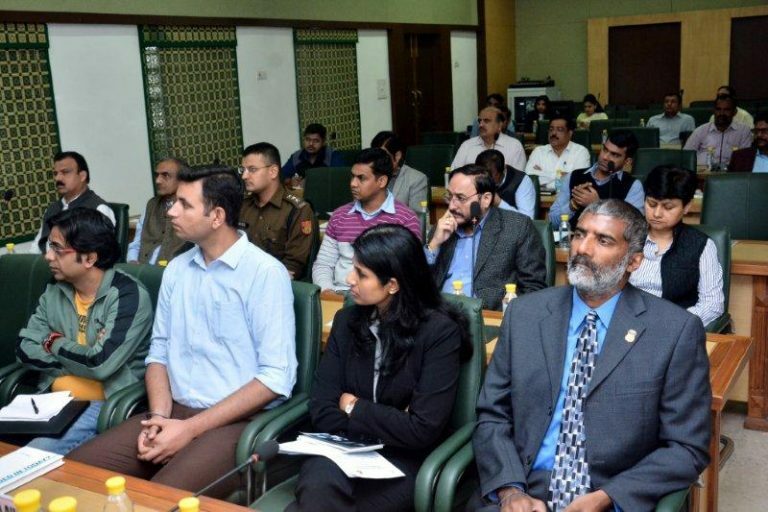 This workshop was extremely helpful in sensitizing the police officers about the relevant laws and procedures to be followed while dealing with the cases related to smuggling and counterfeiting. The technical sessions were followed by an Interactive-Session between the participating officials and industry representatives. Industry members highlighted some of the on-ground practical issues which they faced while trying to curb the availability of spurious goods and collaborative actions they sought from police to counter this menace. Prototypes of fake and smuggled goods available in the markets were also displayed and discussed with the officers. 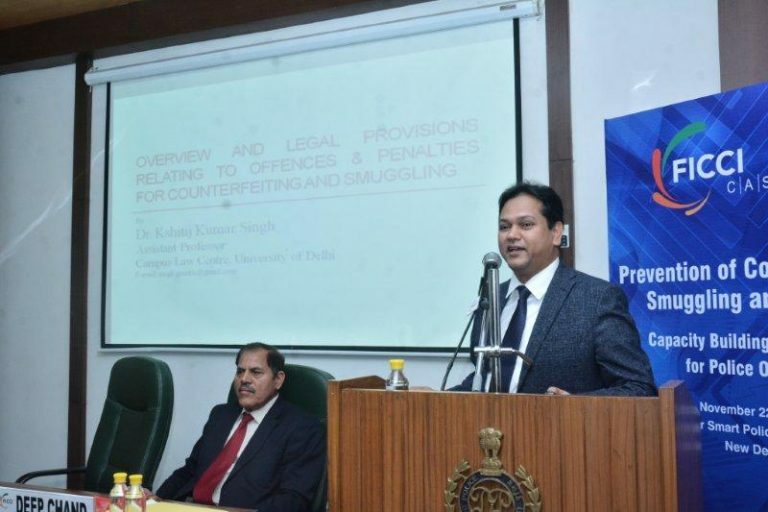 Among the speakers who discussed the wide-ranging concerns on the issue of counterfeiting, piracy and smuggling with the participating police officials were: Dr. Kshitij Kumar Singh, Assistant Professor, University of Delhi, Mr. Udaykiran Devineni, ICE Representative, Department of Homeland Security-Homeland Security Investigations, US Embassy, Ms. Priya Rao, Partner K&S Partners, Intellectual Property Attorneys, Mr. Madhuresh Singh, Head-Legal, Puma and Mr. Anubhav Jain, South Asia ACF Investigations Manager, Global Anti-Counterfeit Program, APJ Region Global Brand Security Group, HP. All speakers unanimously agreed that the issue of illicit trade should be addressed as a high priority problem by the government. An orchestrated strategy including communication, coordination and close cooperation amongst various government agencies, law enforcement officials and private sector to combat this menace is imperative. 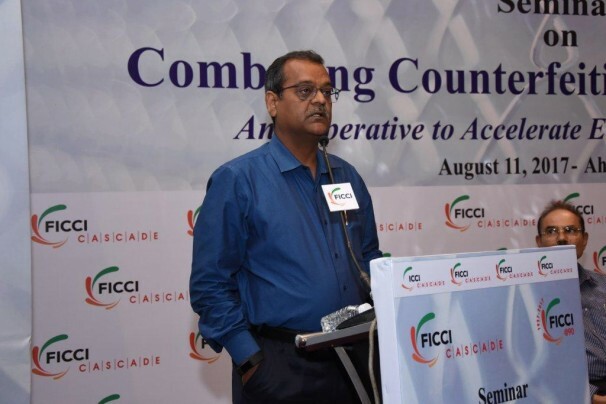 Meanwhile, FICCI-CASCADE, in pursuance of its mandate, will continue to hold similar programmes across the country in briefing enforcement agencies on the procedural and enforcement issues while tackling illicit trading activities.